Our 13th feature is with Sheffield Masters Club swimmer, doctor and part-time beekeeper Kevin Perrett who joined a Masters club to improve the swimming for competing triathlons and hasn’t looked back since. 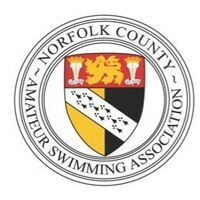 What is your background in swimming? 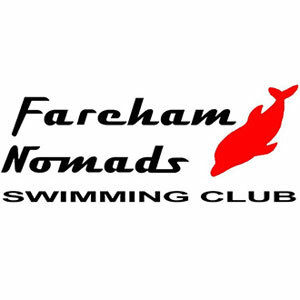 I learned to swim as a kid – I was okay but I wasn’t a club swimmer whereas a lot of Masters swimmers are ex-club swimmers. I got into Masters swimming through triathlon when I was in my mid / late 20s. I had started doing triathlons and I wanted to learn to swim front crawl better and it kind of escalated from there. Usually I train twice or three times a week. If I’m training for an event, it might be maybe three or four times a week but typically over the years it’s been a couple of times a week. It’s about balancing life and work for me because it’s not the only sport I do – I bike a bit and I’ve run over the years as well so I have to fit swimming in with all the other things. 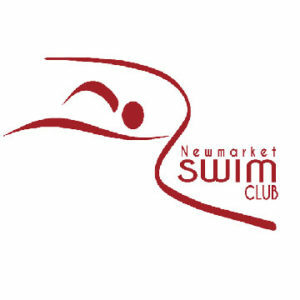 How much did your swimming improve after joining a Masters club? Loads! When I first started doing triathlons, I probably would swim a mile in about 40 minutes. Now I can swim 1500m in about 26 so it’s a lot of difference over the years. 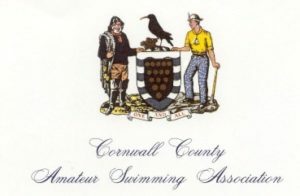 What’s your favourite achievement as a Masters swimmer? I did some galas when I first got into Masters swimming about 15 years ago but they weren’t especially for me. I’m not a particularly quick swimmer so what attracts me is distance swimming. That’s what really motivates me. My best achievement is swimming 10km – about six miles – in a race last year and that was the farthest I’ve ever swum and it’s an achievement I’m really proud of. How much has swimming helped your health as you’ve become older? Well I’ve got chronic back problems. One of the reasons I got into swimming is I’ve got back problems and it really, really helps me. I think swimming and things like yoga, particularly as you get older, are really good for your flexibility and all-round strength. I did some galas when I first got into Masters swimming but they weren’t especially for me. What attracts me is distance swimming. The other thing as you get older is that, if you’re a runner, it’s so easy to get a bit of a niggle in your knee or your ankle or hip or whatever and then you’re off from running from four to six weeks. About the only thing that stops you swimming is shoulder injuries so it’s a great sport as you get older. Why do you swim at a Masters club rather than in your own time? There are two main reasons. It’s a lot more interesting being in a club socially, and just also when you’re swimming you’re not on your own. I find it really difficult when I’m lane swimming now just to plough up and down. I much prefer having my mates there. You have to keep up, there’s a little edge of competition. But also you get coaching as well. The coach we’ve got at the moment is really good so we’ll do a lot of work on our technique. I recommend trying Masters for anyone who wants to get into swimming. I’m a public health doctor and work for Manchester City Council. Outside work, I have lots of interests; mainly sports such as biking, running and triathlons, but also beekeeping and poultry keeping. What do I hate about swimming? Public lane swimming! But I avoid that. I’m married with three children and I have two dogs, three turkeys – until Christmas anyway – four chickens and up to 100,000 bees. What are your favourite events to compete in? Open water distance swims! We do the Great Manchester Swim each year and one or two trips to the Lakes for the weekend for fun rather than ‘events’. Where’s your favourite place to swim? Wastwater – it’s swimming heaven. The camaraderie of the club, swimming in the Lake District and just swimming itself – the physical feeling of gliding and rolling along, particularly when I’m swimming well. Not much really! Public lane swimming. But I avoid that. What are you most proud of in the pool? Completing a 10km open water swim in August 2013, 10 days before I was very unexpectedly diagnosed as needing open-heart surgery to replace my aortic heart valve (bit scary, but I’m now fully fixed). Achieving a healthy work-life balance, including getting regular exercise. Swimming has been a key part of my balanced life for years.